Players caught cheating given limited-time offer of absolution. Over the last week, more than 30,000 players of the massively multiplayer zombie survival game H1Z1 have been banned from the game for cheating by its developer, Daybreak Game Company. Daybreak's CEO, John Smedley, then extended an opportunity for those banned players to have their accounts reactivated by releasing public apology videos to YouTube. The bans were issued against users who were employing "ESP" cheats which provide information on other players, including their health and current map location. In the wake of the bans, Smedley noted on Twitter that he had received many e-mailed apologies from players who had been hit with the banhammer and asking to be allowed back into the game, but that such measures were insufficient in his view. For the company to even consider overturning a ban, according to Smedley, it would require a public apology, on video and published to YouTube, which Smedley would then also post to his Twitter feed. Three such videos have since been posted. Banned users who decide to submit videos have been encouraged to address their apology to the audience of players (rather than Daybreak itself) and asked to leave out any personally identifying information. Simply submitting a video doesn't guarantee that a ban will be overturned, however, and Smedley has said this is a one-time offer aimed at raising awareness of the issue. Videos will only be accepted until noon Pacific Time today. 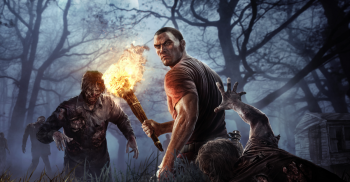 H1Z1 became available on PC through Steam Early Access in January. A PlayStation 4 version of the game is expected later this year. I don't agree with this. Most of them aren't actually sorry; they are sorry they got caught. I won't be surprised if most of the people who apologize are banned later on down the line again for cheating. So we're going to see an influx of cheater saying they're sorry onto Youtube? I doubt that more of them would be public apologies like mainly just a screen and the person voice saying it. Well ok upon typing the apology onto Youtube and today vidoes, they are public aplogies so far. It's brilliantly self-correcting. The optimistic side of the coin is that the public humiliation of admitting their shame could keep in line on future endeavors. The pessimistic side of that coin is that if they get caught cheating, they'll simply be re-banned and they'll be right back at square one. The cynical rim of that coin is that if they get caught cheating after making the public apology, they'll always have the additional stain of not only being a cheat, but a gigantic hypocrite as well. I like this solution. The more serious/stupid/disposable-income-rich cheaters, will simply buy a new account and continue playing. But for the script-kiddies that are new to using hacks, and do not have the money to keep buying new accounts in order to play again, they will be forced to either apologize, or never play again. Publicly humiliating these types of script-kiddies, is exactly the sort of thing they need, as most times, we are talking about children and/or young teenagers. This will be especially effective for this new generation of kids/teens, that are using Youtube as a medium of popularity/income. I just hope that they are not accepting apologies from Youtube accounts that were made on the same day of their apology. Not that "public humiliation" isn't just a terrible way of deterring a certain kind of behaviour, but it won't be very public on a youtube video with 10 views. They'll be posting the videos to the devs' official Twitter. That'll bump it up beyond the comfort zone. Uh, thats not cheats. thats just reading the data the sever sends to your client. In fact, id say thats a mod implementing a feature developers missed. If developers didnt want players to know this, the server wouldnt give that data to the players. I doubt many people will bother watching. Kick'em out and let them rot with their fellows imo. Yeah, this, almost exactly. I think you can still argue that it's cheating, since the game doesn't naturally show you the information, but this was pretty close to what I was thinking while reading the article. Why on Earth would the servers send players data they're not supposed to have? It seems like this entire cheat is a direct result of the devs' poor programming skills, and the bans an attempt to fix the problem without bothering to fix their code. How do you have a multiplayer game without sending the clients the other players' positions? Ill give you an example of how it is done in World of Tanks. Players positions are known by the server, but not by the players. the server every certain amount of time checks whether there is a line-of-sight between the players and whether their "spotting" skills are high enough to see another player. if the check is true, send player position data for 10 seconds, if the check is false, dont send player position data. this way, wallhacks are simply impossible due to no data being recieved for it to work. Also player positions arent all this did. for example main complain in OP was players health. if the game does not want you to know other players health - dont send that data to everyone. keeping players health server-based is how any proper MP is done if it wants to avoid invincibility cheats anyway. and something like this that works like a MMO most definatelly holds variables in the server. just dont broadcast them to everyone on the map. Haven't played WoT, so I wasn't aware of that particular implementation. An interesting approach though. The big problem is making sure the occlusion/visibility testing is accurate. You wouldn't want situations where the player SHOULD see their opponent, but do not because the server deigned it(but human eyes would be able to), but the better your occlusion testing, the more processing power you spend doing that rather than other gameplay stuffs the server could be running. A tricky balance. That's less likely a problem case for something like tanks, as they're comparatively big and boxy, but that would be trickier to do without flukey behavior on humanoid players if they have stances, variable poses via animations, etc. Further compounded with trying to smooth out differences with the client and server/interpolation issues, and so on. But I agree on the front for other stuff like health. Root game mechanical stuff like that should be handled on the host. That's one of my biggest gripes with how CoD does it's networking. It does a lot of stuff on the client, such as hitmarker indicators, the gun behavior, etc. And then lets the server decide if it actually worked or not. So you get situations where you mag dump into a guy, the hitmarker is thumping because the client goes 'oh yeah, you're hitting him' and then the server steps in and goes 'What? None of that actually happened. You died'. That's far worse for the player experience than if you had lag on your inputs, because at least then you KNOW you're lagging and unlikely to get hits. So yeah. Server-authority is how this kinda crap should always go. True, that might be a challenge for some developers. to my knowledge, WoT has updated the mechanic at least once because it was "too slow" in the past. now you should at worst case have only 1/20th of the second delay in detection from time in line of sight to actually getting the data. Actually in WoT they do this with spotting ranges, and if an enemy tank has higher spotting range and is outside of your spotting range you can have a situation where one tank sees another and that another does not see it back. its an entire mechanic with scout tanks that have their role. but obviuosly in a game like H1Z1 you would want none of that so you just make sure the server sends data to both when detected instead of seperate. now, of course bugs can happen, but they are bugs that should be fixed. Well WoT developers hold Guinness world record for most players serviced on a single server, so i guess it isnt that calculation intensive after all. in the server i play at peak times its normal to see 130.000 players connected to that server. Of course if you go for player hosted servers the processing power diminishes, but then they dont have to host thousands of players at once do they. The matches in Wot are 15 vs 15, they tried with 20 vs 20 but decided to stay with 15 for gameplay balance reasons. so it works just fine with at least 40 player servers. The way it happens in wot is that there are 3 spots on a tank that get tested (turret to turret, gun to gun, hull to hull) if any part can se respective part of another it gets spotted. with human models you can check head to head, as obviuosly its implied the eyes are the ones seeing things. I dont think animations would make much trouble because you still would have just two points checking for visibility. Since the check happens on server, it happens based on data server has, so the client/server issues should be minimal in this. Due to fast pace shooters usually do things simulataneously. you are shooting both on server and on the client and every once in a while the client synchronizes with the server. thats because it would take too long to wait for server to tell the client when it started shooting due to some players having high pings. that synchronization sometimes ends up badly. To me, if a server is sending me data i have a right to read that data. dont want me to know - dont send me the data. While I think it's good the devs are allowing for a way for people to return to a game, I don't think public humiliation is the way to go. Also, what if the apology is insincere? "Sorry, we don't think you were apologising hard enough. Do it again, better". Ah, so the best way to handle dicks being dicks in a game is to be one as well? Pffft, let 'em rot and keep your reputation intact.